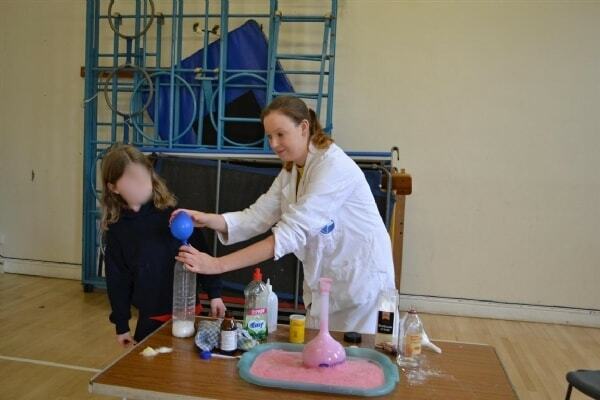 As you may have seen from our website, we have a new branch of Fun Science launching in Cheshire on the 29th June. 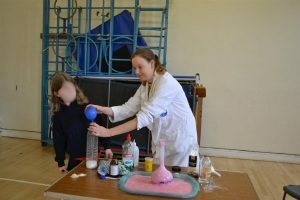 Fun Science Cheshire will be offering all our standard services such as parties, after school clubs, holiday clubs and workshops. 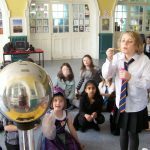 As well as these services, Fun Science Cheshire will also be offering free assemblies for all primary schools in Runcorn, Chester, Northwich and surrounding areas. Each assembly lasts for 15 minutes and can be on the topic of ‘Electricity’, ‘Human Body’ or ‘Chemical Reactions’. See your pupils’ hair stand up on the Van de Graaff generator in the Electricity Assembly, watch fizzing and foaming reactions in the Chemical Reactions Assembly and learn how poo is made in the Human Body Assembly. So why are these assemblies being offered for free? 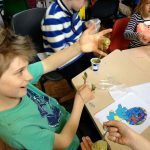 Fun Science would love nothing more than to get every child interested in science. The number of careers in science related areas are increasing yet the number of children choosing to study science has decreased significantly over the past 30 years. Fun Science assemblies show just how much fun science can be in a brief introduction to the subject. There is nothing to pay for the assembly and no obligation to book any future services. Is my school eligible? If your school is based in Northwich, Runcorn, Chester or surrounding areas and accepts children between the ages of 4 and 11 then you are eligible. 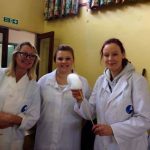 If you are a teacher then all you need to do is email Fun Science Cheshire at cheshire@fun-science.org.uk with some dates that would suit you (after the 29th June) or call 07736 231794. If you are a parent of a child aged 4-11 then you can either mention this offer to the teachers at your child’s school or ask us to contact your school.